The Concordant Version of the Old Testament is a book of 1,736 pages, 7″ x 10.5″ page size, printed on thin “Bible paper” and hardbound with black imitation leather. 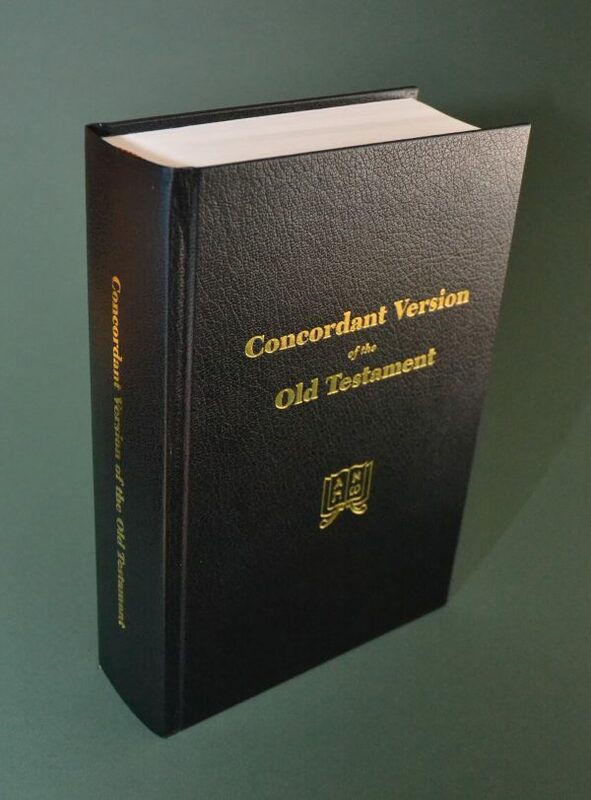 The Concordant Version of the Old Testament is a book of 1,736 pages, 7" x 10.5" page size, printed on thin "Bible paper" and hardbound with black imitation leather. The procedures used in making the translation are as follows: By analyzing the contextual usages of each Hebrew and Aramaic word, a single English word was first selected as its most suitable equivalent. Then, to achieve readability, some words were given a limited number of idiomatic variants that are harmonious with the sense derived from the investigations. English words used as the common translation of particular Hebrew words, and even idiomatic variants, were not used for other Hebrew words. Boldface type was used for words (or even parts of words) having exact counterparts in the Hebrew. And lightface type was used for words (or parts of words) which were added to clarify the meaning of the respective word in the Hebrew text. In addition, small symbols and abbreviations were inserted between or attached to words to represent omitted terms, to indicate grammatical features and the sources of emendations to the Hebrew text. Unlike the hardbound New Testament, this Old Testament does NOT contain a keyword concordance.